Village Grande in Holmdel – let Bunny and Art help you find your new home today! Village Grande in Holmdel is an upscale, Active Adu lt Community in Holmdel, Monmouth County, NJ. The primary resident must be at least 55. Built in 1998 and 1999, it’s located on Route 35, and is convenient to major transportation routes, shopping, dining and of course… the Jersey Shore. Village Grande also welcomes your pets. There are 116 single family homes in Village Grande, The homes have either two or three bedrooms with a one or a two car garage. Some of these homes have a loft, while others have a basement. In fact, some homes have both. The homes in this non gated community range in size from 1400 square foot to almost 2400 square foot. Lawn maintenance and snow removal are included in the monthly association fees. The clubhouse is the social center of the community. When the weather is warm, swim in the outdoor pool or enjoy playing bocce with your neighbors.. The clubhouse also contains a fitness center for those who desire to exercise and stay in shape. Or meet with your new friends in the multi-purpose room. While Village Grande doesn’t have a golf course, there are many golf courses in Monmouth County. In addition, you can pursue other hobbies such as boating and fishing nearby. Commuters love Village Grande because train service is nearby at the Middletown or Hazlet train stations. Additionally, it’s close to The Garden State Parkway. 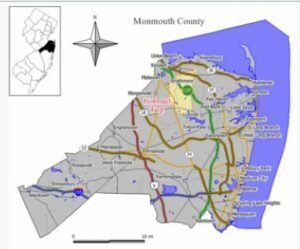 All Adult Communities in Monmouth County offer a bus service from each community to local shopping centers such as malls and supermarkets, and there is no charge for this scheduled service. There is also a non-emergency medical transport bus that will take people to any medical facility or doctor’s office in Monmouth County. These trips must be scheduled a few days in advance, however, there is a small fee for this service.